Let’s make great nutrition the easy choice. Our program is beneficial for everyone from food manufacturers who want to improve the nutritional value of their products to school cafeterias serving healthier choices to their students to moms who want to provide their families with more nutritious meals — people everywhere are discovering that making more nutritious choices is easier than ever and fun. 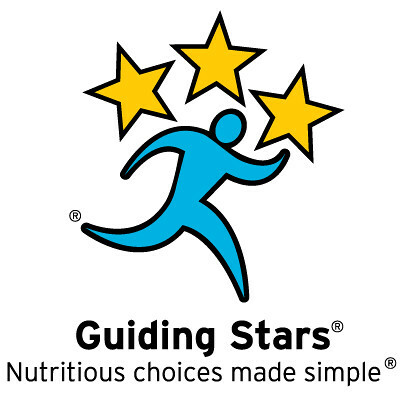 The resources on this page will help you spread the word about Guiding Stars and nutritious eating. Be sure to keep up with new resources through our eNewsletter! If you have trouble accessing any of the files on this site, please call us at 877-233-0975. We offer several webinars per year to provide free continuing education credits for Registered Dietitians and Dietetic Technicians, Registered. These videos offer valid credit one year from their original recording date. This training video is a great way to introduce new store associates to Guiding Stars. If you have any other training needs, please let us know how we can help you make the most of our program. In stores, school cafeterias, classrooms, or at home, it’s easy to engage kids in healthy eating. Let’s make nutritious eating go viral! Use our ready-made infographics to spark conversation about healthy eating with your audience. For more information on becoming a partner, contact us through our online form. Print these brochures in your store or through a professional printer to show your customers the many ways Guiding Stars can simplify their nutrition decisions. We’re making it easy for your to talk to your online audience about healthy eating. Be inspired to take care of yourself! Every month, we deliver healthy living tips and our favorite nutritious recipes right to your inbox. Sign up for our monthly enewsletter today!